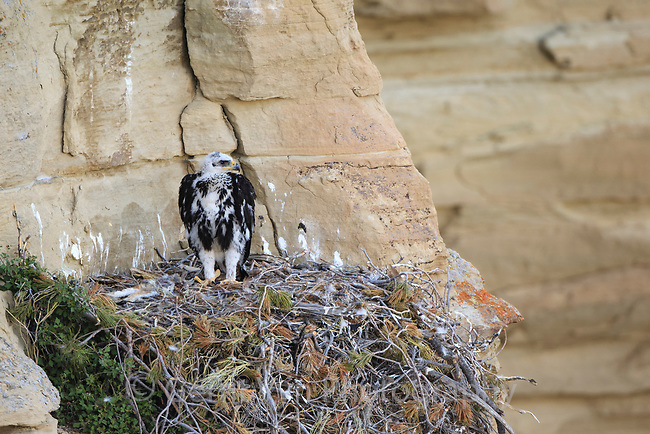 Golden Eagle (Aquila chrysaetos) chick in the nest. Sublette County, Wyoming. June.